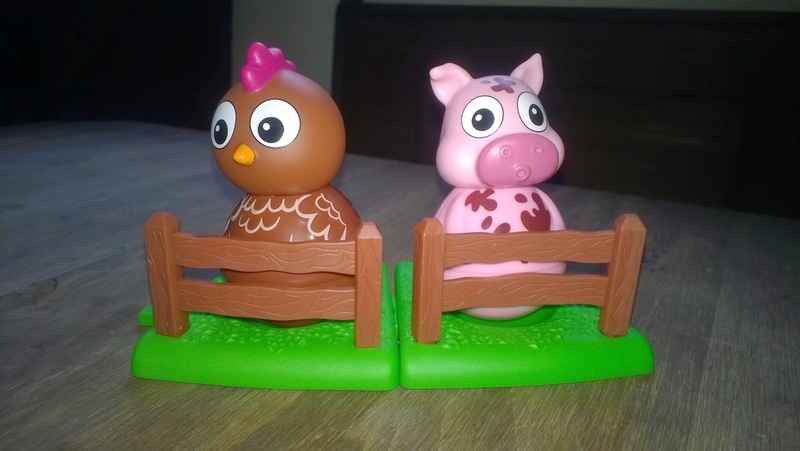 Trials & Tribulations Of A Brummie Mummy: Weebles From The Weebledown Farm Range Review. 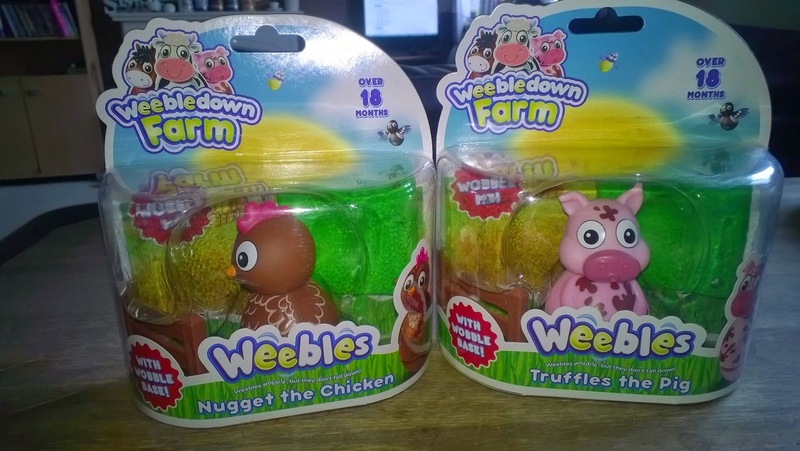 Weebles From The Weebledown Farm Range Review. I remember Weebles fro m my childhood I used to spend ages trying to knock them down and get them to stay down. They have revamped and released a new range that is out now. 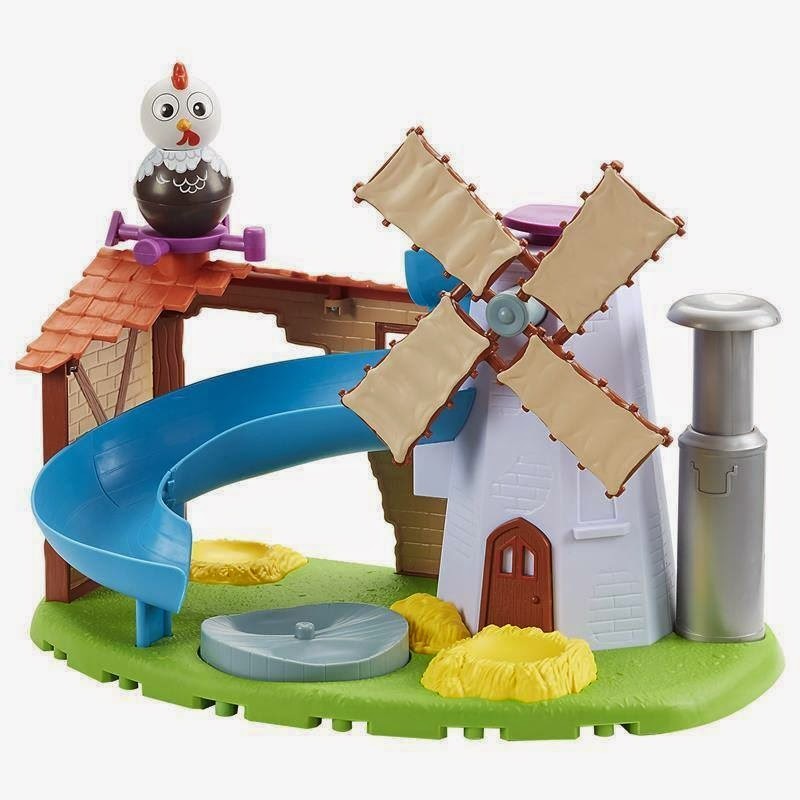 Have hours of fun with the Wobbily Farm Mill & Barn! Push down the milk churn and watch the windmill sails spin round. Put Rusty the Rooster on the top and watch him slide down the slide on to the spinning mill wheel roundabout. An exclusive Rusty the Rooster Weeble included (1 figure supplied). We received Nugget and Truffles to review. The figures themselves are bright, cute and lovable. They come with a little grass stand and fence which is connectable together to other characters. They are a great addition to the Play set, and hours of fun.